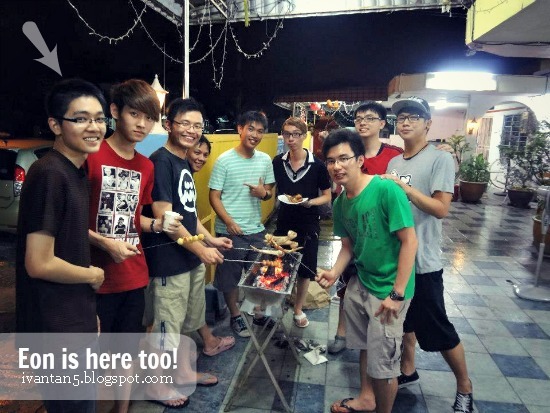 It has been a long time since most of my classmates gathered together. I still remember vividly the first time my class, LSS4 back then, gathered at Old Town Kopitiam after selling the school's drama tickets. 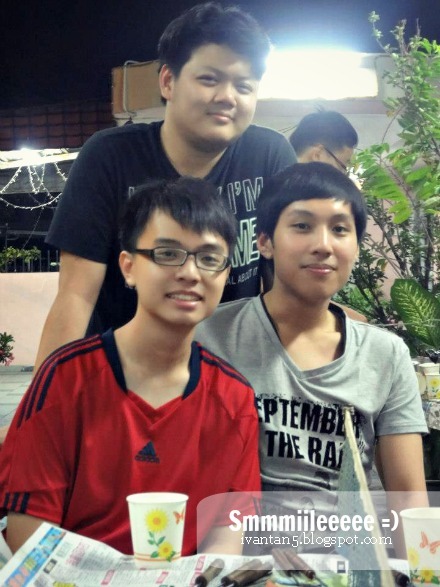 Thank you very much to Xinh Guan (monitor) for providing his house as a place to gather, to laugh and to have fun. Not forgetting both his parents for preparing some delicious fried rice, noodles and other ingredients for BBQ and steamboat. This is probably the last gathering for me with my bunch of monkey friends this year. As usual, it was held in Yee Lim's house since his house is comfortable enough to accommodate such a large group of monkeys. 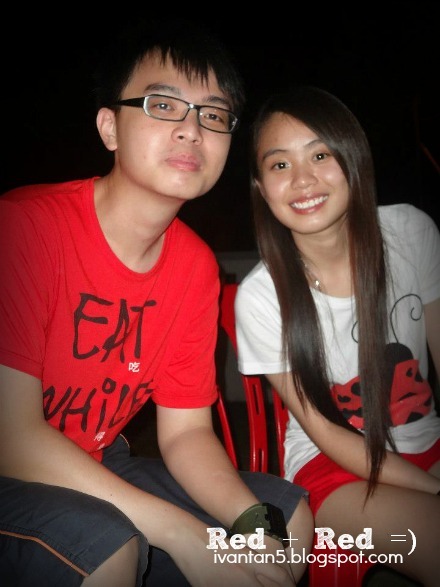 Joe Hang, Eon and his girlfriend is not in the group picture above because they left early. We prepared unlimited supplies of foods including chicken and pork sausages, chicken wings, french fries and noodles. Although there were more than 20 of us present, but there were still many leftover foods. 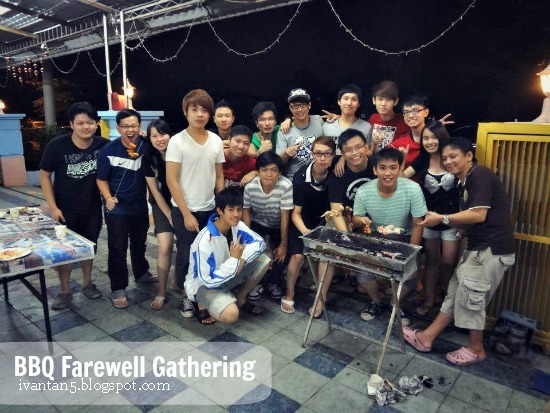 Almost all the invited guests were present except Teong Hui who can't make it because he is still in Malacca, Kar Heng who went for some jungle camp, Katrina and Wai Hoong who were in KL and lastly, Pui San, Esther and Candy Chong who broke their promises (FFK!). 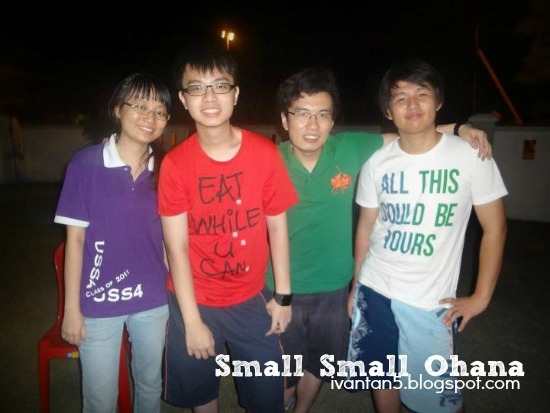 The blue nike tee shirt Yee Lim was wearing is his birthday present by the few of us. He blogged about it in his blog, www.nikephang.blogspot.com and showed the photo of the gift wrapper instead of the shirt itself! It has been a very long time since my last hiking trip at Kledang Hill. 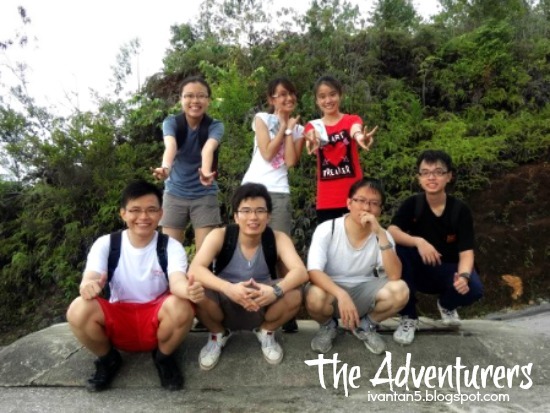 The previous one was with most of my classmates, along with my Biology teacher, Mr Liew Boon Ket to collect specimens of plants for our experiments. This trip is the same as previous, but with fewer classmates, much more fewer. Since it is the second day of Hari Raya, Mr Liew has load of free time so he decided to ask us out for a morning exercise. We started our journey around 7.20am and ended half an hour before noon. 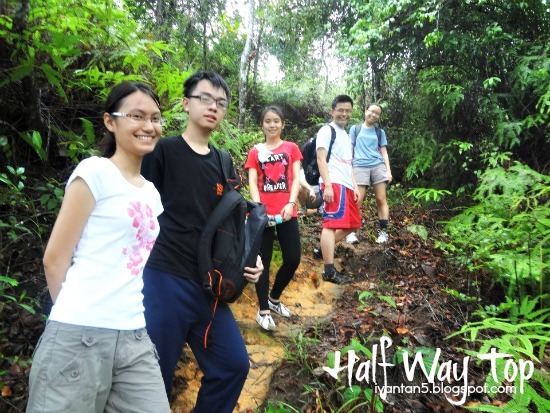 Mr Liew must have been climbing this hill quite often as his stamina is much more better compared to us. To be frank my stamina level has gone down quite a lot compared to the previous time. Luckily I have some biscuits and a cup of hot Milo before I came. I came to this wonderful Melaka state for the 3rd time this year! OMG~~ Well, this wasn't planned by me actually. I received call from Melaka-Manipal Medical College and they asked me to go for an interview on Wednesday. It was quite rush as I had to prepare myself in a mere 2 days time. I have heard of Pong Teh Chicken for quite some time but never tasted it before until this day. It is a bowl full of chicken slices in a thick salty gravy along with some mushrooms. I felt that the gravy is too salty but overall this RM12 traditional Baba dish still worth a try. This could be the second best Otak-Otak I have tried in Melaka after the one in Famosa Restaurant. Made of fish meat and mixture of spices, this RM10.50 steamed dish is just the right one to satisfy my taste buds. Some Otak-Otak in other places are wrapped inside a banana leaf to enhance the smell. Jenak Curry Fish, nothing special except for the price, RM38. This is probably the best Cendol I have tried in my life! The combination of shaved ice along with coconut milk, red beans and worm-like pandan jelly definitely deserves to be Malaysia's No. 1 Cendol. Not exaggerating but I will give 2 thumbs up for this RM2.50 dessert. After dinner, my mom said she wanted to go to Melaka river cruise, the same cruise I had last month. Been going through the same thing twice in 20 days time, LOL. Afraid of being late for my interview the next day, we went to a Dim Sum Restaurant just beside our hotel. The quality was poor as any Dim Sum Restaurant in Ipoh can serve better. 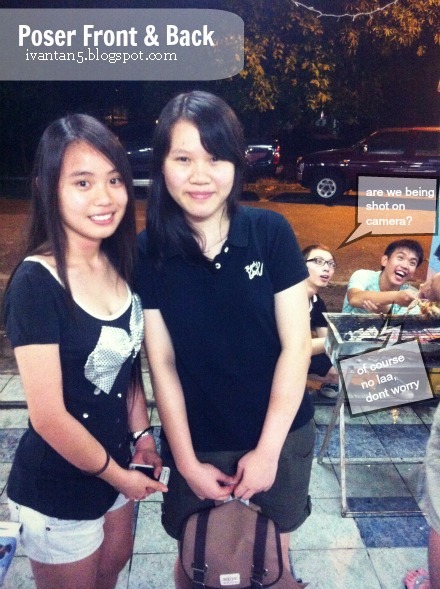 After my interview, we went to the renowned Hang Li Poh's Well or Sam Poh's Well. 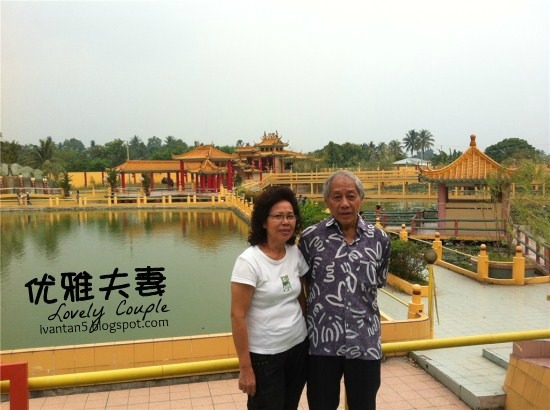 It is the oldest well in Peninsular Malaysia and Hang Li Poh is actually Sultan Mansor Shah's wife from China. 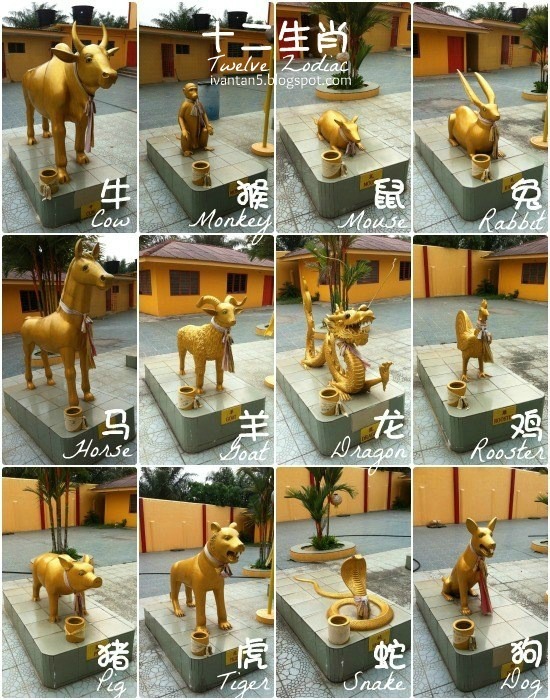 According to legend, anyone who drank the water from this well will eventually return to Melaka. I don't think anyone will drink it now because the well is wired and the water is so dirty with the bloom of algae! We had our lunch at Hoe Kee Restaurant. YES, it's chicken rice ball again! It is one of the three famous chicken rice ball restaurants situated along Jonker Street. Only RM23 for this 3-person meal. The weird part is we are not allowed to order only rice balls and our rice must consist of normal plate of rice too. It is definitely worth a try but I personally feel that famous Chung Wah Restaurant's rice balls are nicer compared to this. We visited some of the shops in Jonker Street too before going to our last stop, the Famosa Fort. It had been a very long time since I visited this fort. I have never visited it this year as I couldn't find the place until today when my dad took me here. It was just beside Dataran Pahlawan mall and I did not realise it. It was built by the Portuguese and part of it were destroyed by the English to prevent them from falling hands into the French. It was such a memorable and historical fort as we should be proud because we are capable of maintaining it until today. 500 years of corrosion by time and it is still standing proudly in the middle of the city. It was a lovely Sunday afternoon, except a little bit of drizzle. 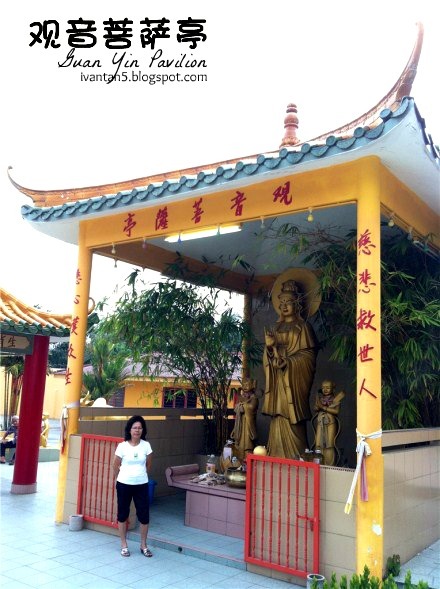 I went to a temple in Chemor as my aunt said it is a very nice place for prayers. 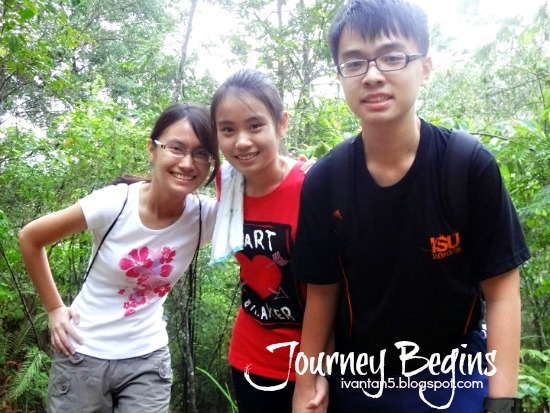 Some of my friends went there too prior to STPM last year. 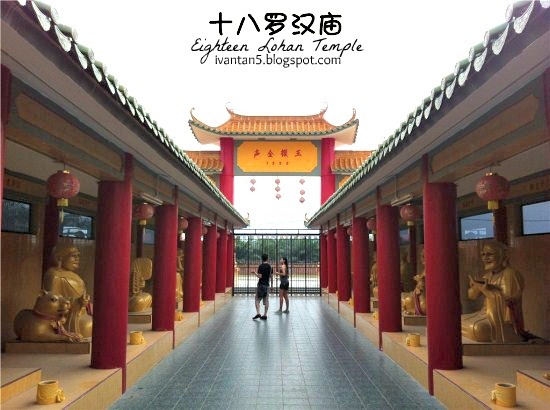 The management of the temple offers monetary rewards for each A that you get in UPSR, PMR, SPM and STPM, with the condition that you register your name first before you sit for your respective exams. 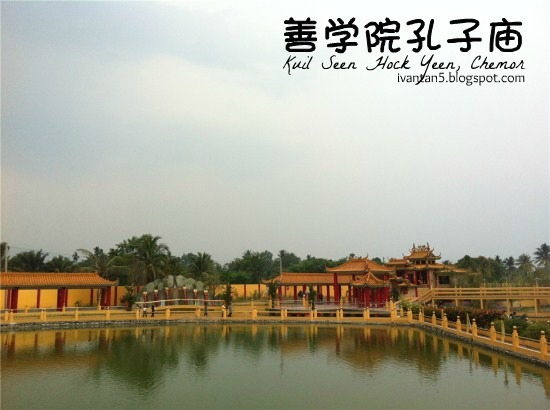 The name for the temple is actually Kuil Seen Hock Yeen, located at Lot No. 20470, Kampung Cik Zainal, Chemor. I have heard of this temple for quite some time but I have not really visited it until today. 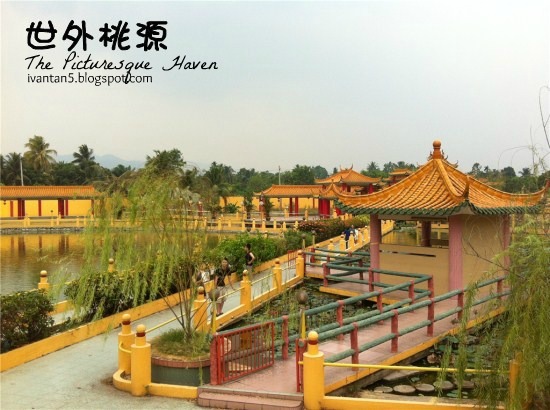 It is a Chinese oriental-style buildings and there is a huge lake at the center of the temple. From Tasek, we traveled all the way straight to Chemor. By the second traffic light at the town, we turned right and after the flyover, we turned left immediately and drove along a small road, the temple is located on the right side of the road. One word to describe the scenery there - PICTURESQUE! 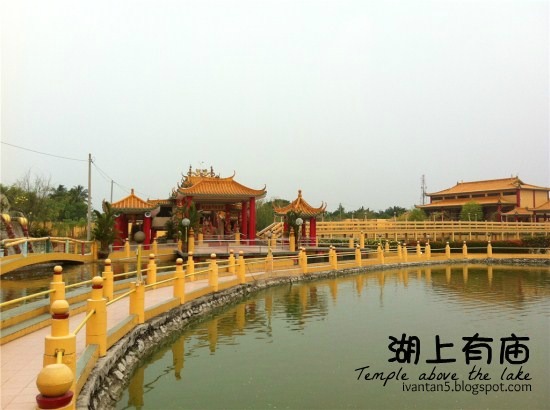 It is not like any other temples because the surrounding is so attractive and there is no traffic around the place. The place is so peaceful that you will forget what is happening in the outside world. Various deity and statues of the God and Goddess are there. I don't think it is cheap for the maintenance work to be carried out as the land is big. Some generous and rich people must be donating to build the facilities there. It has a history of 32 years since its inception in 1980. Before we left, we went to another section, the Eighteen Lohan Temple. Lohan is something like 'monk' and they are famous for their unique personality in the Chinese history.